They have concerns when a “settler leader” is appointed to a diplomatic post? Why? Why not have concerns when someone who is so left-wing that they have little connection with the Jewish dynamic of Israel is appointed to a position? J-Street talk about two State solutions. The problem with them is that their starting point is not that any such discussion should be based on Israel as the State for JEWS. Would they accept talks that spoke of a State for Palestinians which was Judenrein? The answer is yes, they would. Their hypocrisy knowns no bounds and is consistent with the rhetoric of the left wing Reform movement which shares many practices with traditional Judaism, but is a tangential religion. I’d say that Shiites and Sunnis have more in common than Reform/J-Street and traditional orthodox Judaism. We are different though: we don’t kill each other over differences. Why can’t they be? Mahmoud Abbas is more serious about legitimising and entrenching hatred, incitement and terrorism than he is about a two state solution. He might want a two state solution, but every Palestinian leader knows that he or she will end up with their head blown to smithereens by their own if they ever signed an agreement with Israel, even if it was based on the indefensible 1967 borders. The organization cited the appointment of Danny Danon as Israel’s Ambassador to the United Nations, Ambassador Ron Dermer’s decision to send out gift packages filled with settlement products to officials and Tzipi Hotovely’s call for Israeli diplomats to tell the world that “this country is all ours. We didn’t come here to apologize for that” as examples. Clearly J-Street have not read the EU declaration on its labelling policy. There is nothing illegal about the products. They simply must be labelled because they don’t fall under the EU’s definition of Israel and the free trade agreement. J-Street are so left-wing, I do not know how they could cope with the following truisms of David Ben Gurion which are as true then as they are now, let alone Isaac Herzog’s doctrine of walled separation. If your Ivrit isn’t good, it is well worth watching this with someone who can translate. One can guess what Ben Gurion would have thought of J-Street and their unwelcome incursions into Israeli diplomatic appointments. J-Street forget that they do not vote for the Prime Minister of Israel of his coalition. If they want to grand stand, they do harm. If they want to influence, then I’d suggest discussing issues with Israel directly is an approach that is more positive. Donald Trump’s words weren’t the worst part of his appearance before the world’s largest annual Jewish gathering, the AIPAC Policy Conference in Washington, DC. The standing ovations from many in the Verizon Center when he attacked the President of the United States were. The last time I looked one was permitted to express disdain for the policies of a President. Isn’t it time any group who feel badly done by are not attacked by J-Street for doing so? Goodness only knows, J-Street would be doing so if Donald Trump became president. The move to the right by the USA is entirely linked to the extreme move to the left and the inactive diplomacy of Obama. He is widely seen as ineffective. This is also borne out by the fact that all of a sudden Saudi Arabia has formed a large coalition of Arab countries file under its direction, and declared Hezbollah a terrorist organisation. This would never have happened if Obama had been seen as pro-active, as opposed to a fence-sitter and drone-user. Obama has been trumped (sic) in Syria by Putin and Iran, and his strategies are most difficult to fathom. His one achievement has been to “stay out of trouble”. It is as if he is spooked by leadership. Leadership means that there are times when you must lead and not stand back and talk ad nausea. J-Street were emboldened by Obama. They would not be emboldened by Hillary Clinton but would love the Jew who avoid his Jewishness, Bernie Sanders. Sanders would be an unmitigated socialist disaster for the USA and Israel. To hear this video and to continue to support Obama as a US Jew, is simply unfathomable. : Martin Indyk and Ronni Kahn. I know Ronni, from doing gigs in Sydney where she worked to collect left over food. Martin Indyk, unlike Dennis Ross has shown himself on many occasions to be out of touch with reality. Of course the old Habonim, Hineni Reform, Conservative, Deconstructionist, and other left wing groups that have been around for eons, and now the all singing Shira Chadasha strain of conservadox judaism. Watch this video and tell me if you detect any sign that the Obama administration is fair. Or, do you share my opinion that they are left-wing apologists for Muslim terrorism unless it affects their uber strategic assets. This is a good article if you can get your hands on it. Actually, pass it onto J-Street, Ameinu and all the left wingers who think you can TALK to these “things”. When the word radicalisation comes up, send this video (from memri). Ask them what Australia has to do with this savage stream of religion. Make no mistake my friends, this is the work of Mahmoud Abbas and his predecessors and is a direct result of the profoundly failed Oslo Accords. 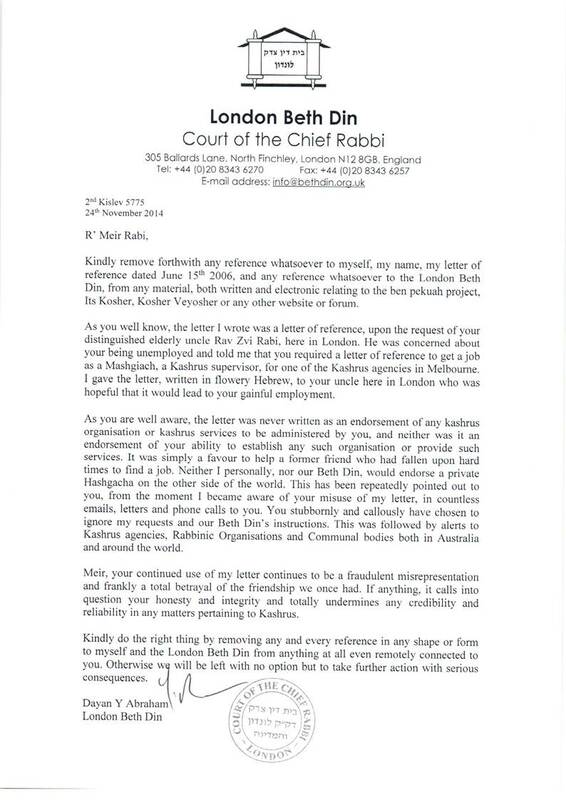 So how controversial was Moshe Feiglin of Zehut? Now, Moshe Feiglin is certainly not the most controversial figure to speak in Melbourne at a Jewish Organisation. The left seem to be able to bring any and every type of anti-Jewish, questionably Zionist, type here with impunity. Ironically, the Holocaust generation, would have nothing of such people, but their tree hugging, reformulated Judaism as תיקון עולם not necessarily with the מלכות שד׳י that follows it, children are exactly those who are comfortable sitting with those who want to make Israel like “all the nations”. Israel will never be like “all the nations”. As long as it follows the constant הלכה of והלכת בדרכיו where we are meant to emulate God, through his values, his published traits, his wishes, and his admonishments, we will share lots with many good countries, but we will depart on various issues. Indeed, this is why Jews and Judaism have survived. A Talmud that allows an Amora to say אין משיח לישראל doesn’t strike me as a Talmud that is afraid. Yes, I’m aware of the different explanations for this statement, my point being that, and not leaving it out, דרוש וקבל שכר …. listen and learn and understand and you will at least be rewarded for that. The annual learnathon conducted in Melbourne has included people with views far more radical (of course to the left, never to the right) than Moshe Feiglin. Moshe Feiglin is above all a libertarian. I would now describe him as a radical libertarian. He has his own unique views on the crises facing Israel, and that Zionists, religious or otherwise basically abandoned him at the Werdiger Hall on Sunday night, is a blight on their Zionism. The people happiest about such a phenomenon are the Benedict Arnold movements, Ameinu and J-Street, both of whom pander to left wing Western “sensibilities and politics” in the arcane belief that this will solve or should I say dissolve the problems. Is it anathema for someone whose Rabbi permits them to go to parts of the Temple Mount (note the Jewish Temples which preceded Al Aqsa) to be forbidden to pray! What sort of (Western) democracy is this? How do the magic words “status quo” which we see right at this minute with the lying induced violence conjure up an “Abracadabra” spell on thinking people? Why? Is it because we will lose American support? That’s the only reason I can think of. Surely thinking people would recognise that it makes no sense that a Jew cannot pray but someone from another religion can throw rocks, create fires, and destroy archeology? Moshe Feiglin has his views. He was asked by an Arab MK when he was Deputy Speaker, and still a member of Likud, “What are the borders of Israel” and Feiglin replied quoting the Chumash, implying a wider, larger Israel. Is he not entitled to have or express such a view? The two state solution is the biggest lie we have seen. There is no partner, there is nobody serious on the other side. They are just a group of bickering tribesmen who are politically at each others throats and far away from even having a semblance of freedom. I saw an article in the paper that was “shocked” because kids as young as 5 were shown programs about carrying guns in ISIS and their “friends”. Well, hello. Anyone who follows memri.org and I highly recommend it, will know that Palestinian Arabs have done this for decades. It is in an Australian paper because Australians have unfortunately also suffered at the hands of “radicalised ones”. Someone define what non radicalised means? Is that 1/2 Sharia or is it Australian Law? Feiglin’s philosophy is very similar to that of many Australians. In fact, I read Prime Minister Turnbull make the same statement. There is Australian Law. There may be other legal systems. If you are uncomfortable with living in a country under an Australian legal system, then by all means go to a country that conforms with your definition of law. Let it not be concluded that I necessarily agree with Moshe Feiglin’s views willy nilly. I’d need to read more and then form my own views. However, not allowing him to speak, is to me a great בזיון for this community which people like Isi Leibler laud as huge Zionists. Unfortunately, Leibler is long gone and doesn’t realise how that the old boat is sliding to the left more and more, while the sanguine views of the previous generation, are buried in Springvale and Lyndhurst. If anyone felt that Feiglin said something that should preclude him from speaking, or from being granted a Visa, pray tell me why. Author pitputimPosted on October 12, 2015 Categories Ahavas Yisrael, Derech Eretz, Education, Israel's right to exist, Medinat Yisrael, Modern Orthodox, Politics, Religious ZionistsTags Ameinu, Free Speech, J Street, Mizrachi Organisation, Zehut3 Comments on So how controversial was Moshe Feiglin of Zehut? They are in the USA. They are in Melbourne. They would never have existed in the period where holocaust survivors made up the majority of Melbourne Jewry. Sadly, their social justice oriented, tree hugging, greens voting establishment is having a conference immediately after the democratic Israeli election; you know the one where people who actually live and die for the country actually live and have spoken. The arm chair experts have decided they will have a conference now (great timing if you have anarchist proclivities). Now who did they invite? “F**k the Jews, they didn’t vote for us anyway. Note “Jews” not Zionists. They are interchangeable, remember. Even R’ Yoel of Satmar was a Zionist; he just had a crooked way of looking at things according to most Rabbinic Scholars. barring Netanyahu from entering the State Department’s building. Clearly a clever man. Perfect for J Street. But wait there is more: J Street are inviting the Menuval Saeb Erekat, who bleated about the “massacre” in Jenin which runs a close second to 72 virgins in the minds of Muslim Disney Land. Next time you speak to a J Street supporter in Israel, tell them to go to Auschwitz and explain their policies there.